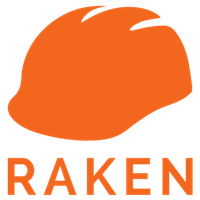 Raken is the solution for Construction Daily Reports for Superintendents and Foremen! Raken has been named #1 Daily Reporting Software & Top 5 Mobile App for Construction at AGC National. How can Raken help you? • Save +1 hour/day, with no paperwork! • Inputs throughout the day will automatically sync with the web and create a daily report PDF in real-time. Review and share your customizable PDF with one-click.